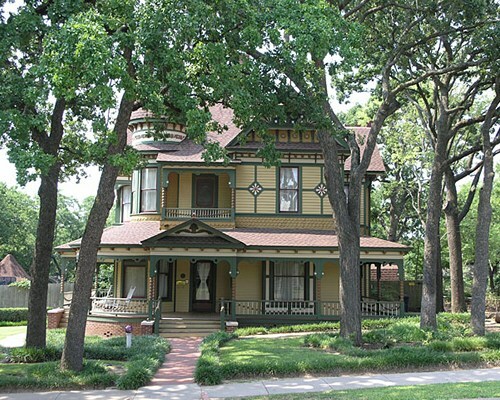 Denton Texas Silk Stocking Row Oak-Hickory Historic District. 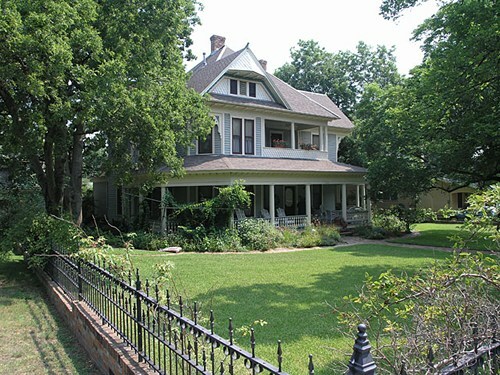 The Silk Stocking Row in The Oak-Hickory Historic District is basically a collection of historic houses built by wealthy, merchants along West Oak street. Victorian architectural themes prevail, but the neighborhood presents a fairly eclectic mix of architectural styles. West Oak street is the street that passes by the north side of the courthouse square. If you find the county courthouse, you're almost there. 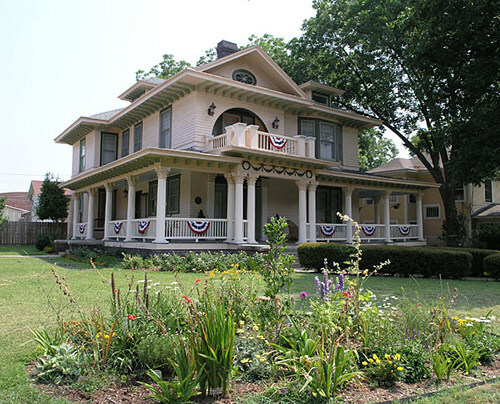 A handout available at the Courthouse-On-The-Square Museum provides useful information about individual homes along West Oak. It also suggests parking on a side street and walking through the neighborhood. A Saturday morning walk through the neighborhood turned out to be quite pleasant and informative. 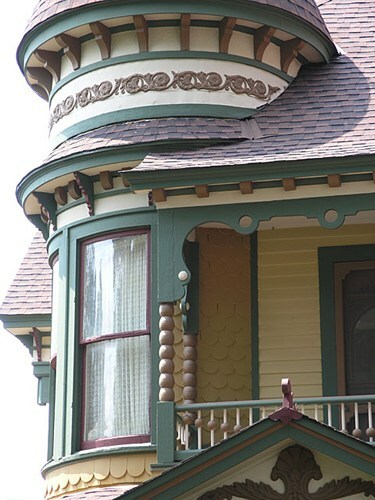 Several neighborhood residents spoke to my wife and I, and the owner of an outstanding Queen Anne Victorian home initiated a conversation with us and shared so much information about the homes and history of the neighborhood that I started feeling guilty for taking up so much of her time. The charm of the neighborhood and its residents was surprising. A West Oak street resident told us that walking tours of the neighborhood can be arranged through the Denton County Historical Commission.